That about sums up what the Tales of VIII Painters will be about for me. For those who aren’t au fait, Malifaux is set in an alternate Victorian era where a rift in the fabric of reality leads to the world of Malifaux. A place where magic exists and monsters are real. The world of Malifaux loosely consists of 5 factions: The Guild - the self appointed law in Malifaux, The Arcanists – a secret faction who concentrate on honing their new found powers, The Resurrectionists – a loosely grouped bunch of individuals who use magic to control the dead, The Neverborn – the monsters inhabiting Malifaux and The Outcasts – basically everyone who doesn’t belong to the above. The last book that was released for Malifaux, Storm of Shadows, revealed a new 6th Faction, the Ten Thunders. A clan from the mysterious Three Kingdoms who are infiltrating Malifaux. The Thunders have agents in all the existing factions except for the Outcasts and introduce the concept of a model being dual faction. The Ten Thunders models are also the first Malifaux models to be made in plastic. Wyrd Games (the makers of Malifaux) use a new system to create these models. The use 3d modelling based on their own artwork to create the moulds rather than having an artists sculpt the originals by hand. It’s different and seems to work quite well. I’m not the fastest painter and with only a month before 4M I know I’m not going to get everything done in time. But I’ll do what I can. I’m hoping to get 2 or 3 crews ready. 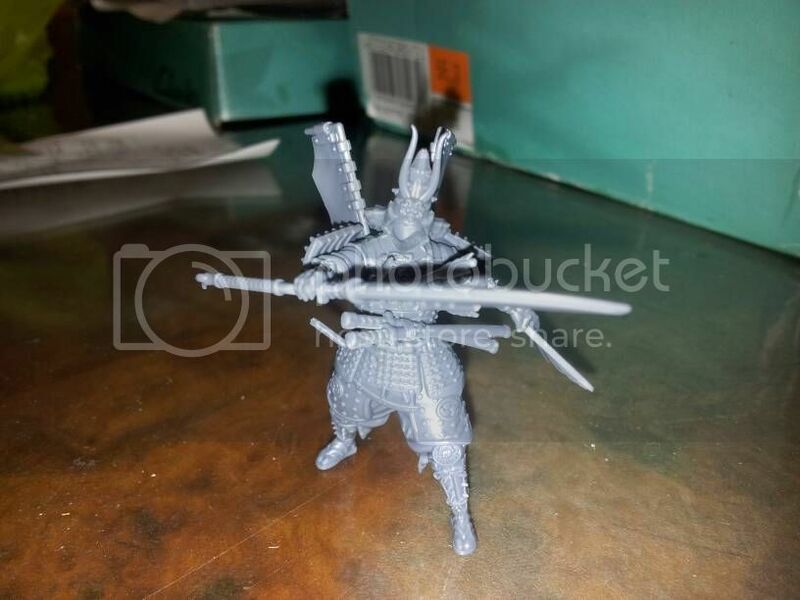 Originally I was going to target Jacob Lynch, Misaki and Mei Feng’s crew but after I bought Izamu the possessed samurai armour I knew I had to paint him. This is quite a lot and to be honest half of this is probably a more realistic target for me. But we’ll see how I get on. My idea for colour scheme is to use the faction colours (red – guild, blue – arcanists, green ressers, purple- neverborn, yellow – outcasts, orange – 10T) as the main colours on the models. With dual factions models using both factions colours. First up is Yan Lo and his crew. Yan Lo is 10T/Resurrectionist so green and orange will feature. 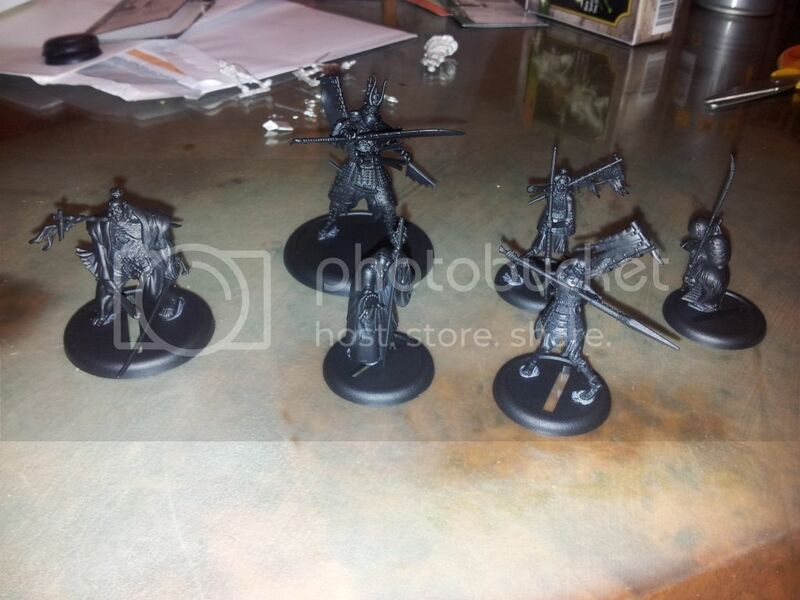 The first models to hit the painting table are Yan Lo, Soul Ported, Izamu, Toshiro and 2 x Ashigaru. Great models. The samurai one especially. Will be good to see it when its done!